I don’t know about you guys, but I am so ready for spring! As much as I love living in cozy sweaters and accessorizing with colorful scarves and hats for the winter months, my pale legs are begging for some freedom and sun. Who cares what the groundhog says, my vote is for spring. Pronto! That said, one of my favorite parts of spring is spring cleaning. It might sound weird, but there’s something so revitalizing about starting out fresh and getting rid of clutter. In anticipation of the season change, I decided to get a head start on spring cleaning and tackle the most horrifically unorganized and overwhelming thing a college girl can fathom: the closet. Cleaning out my closet is something I do every year, and I find that it really helps me use the clothes I have in a more efficient manner and allows me to get creative with the items I already own. As fellow college students, I’m sure you all can relate to the fact that I don’t have the luxury of a walk in closet, so getting rid of clothing is not only exhilarating but necessary. 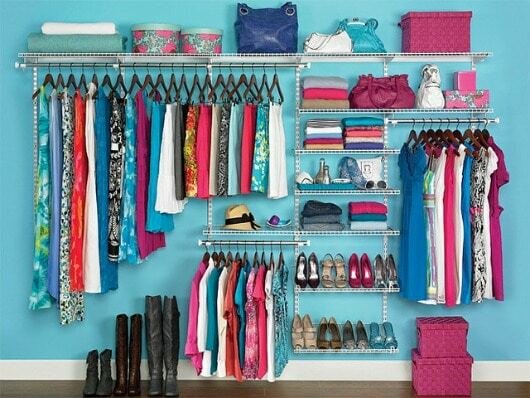 By getting rid of clothing that is no longer in your rotation, you can streamline your closet. 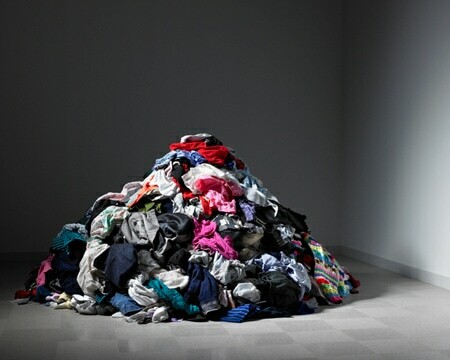 Sometimes getting rid of clothes is an emotional battle just as much as it is an organization problem. We grow emotional attachments to certain pieces of clothing, or tell ourselves that we’re waiting for the perfect occasion to wear a certain article of clothing. If you find yourself in that scenario, someone once told me that the best way to figure out what you really wear and what you don’t is to turn all your hangers so that they’re facing backwards. Each time you wear something, hang it back up the right way. After six months, a year, or however long you prefer to wait, you can instantly tell what items are neglected in your closet. Chances are, if you haven’t worn it in six months to a year, you don’t really need it. Selling clothes on eBay is nothing new, but I think a lot of people are hesitant to open up an account on eBay because they think it will be a lot of work. Although I have never personally sold anything on eBay, I know multiple girls who have made several hundred dollars selling clothing there. Even though you might be sick of your clothing, there’s a good chance that someone else might love it and make better use out of it. One girl’s over-worn sundress is another girl’s treasure, right? 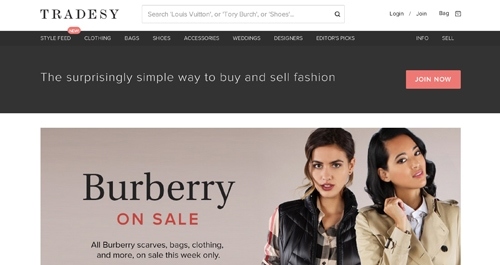 If you love shopping on the internet and would rather get paid in clothing rather than cash, then Swapdom is a great option for you. The premise is simple – swap out those articles of clothing that you aren’t that into anymore, and get something new in return. 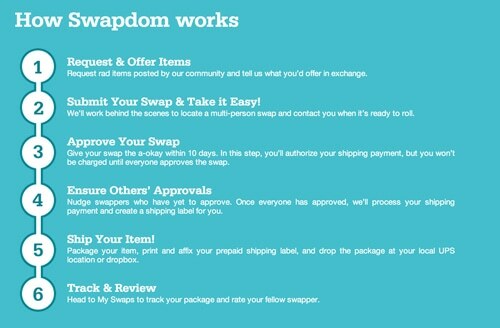 Swapdom does all the work for you to ensure that you get exactly what you requested for exactly what you offered. And the best part? It’s free. All you have to do is pay shipping for the item you receive. 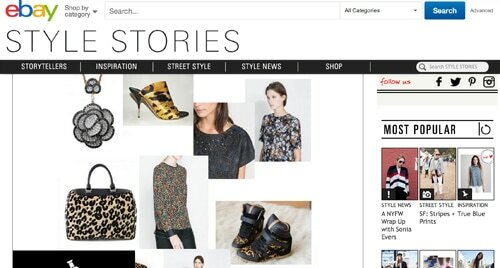 Similar to eBay, Tradesy is geared more specifically toward designer fashion items from places like like J. Crew, Kate Spade, Louis Vuitton, Tory Burch, Chanel, and Zara. Keep in mind that the company takes a 9% fee from any money you make, but cash out is safe, simple, and secure through Paypal. Do you ever feel like you have a closet full of clothes and nothing to wear? 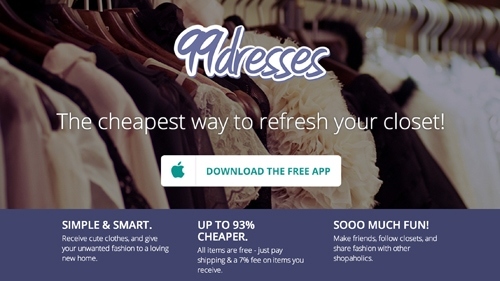 99dresses founder Nikki Durkin says she does and that’s why she created the 99dresses app. With this app, you can receive fashionable new-to-you clothes and give your unwanted items a new home. All items are free, and you only pay a 7% fee on items you receive along with shipping. What do you think of these options for getting rid of old clothing? Will you be cleaning out your closet this spring? Have you used any of these services before? Any other services you recommend? Let us know by commenting!